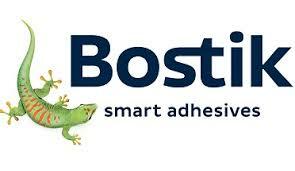 Bostik: Adhesive Technologies Our business is about much more than sticking things together. For over a century, we have developed smart solutions that touch and improve people’s daily lives. Bostik adhesives can be found almost everywhere. From cradle to grave, from home to office, from food to transport, our bonding systems are used in countless applications. Our products might be subtle but their impact is profound: contributing to a safer, more flexible, efficient and responsive world. A global leader in adhesive technologies Bostik is one of the largest adhesive and sealant companies. Worldwide, we employ some 5,000 people in 50 countries across five continents. Our customers come from diverse markets, most notably the industrial manufacturing, construction and consumer sectors. Industrial adhesives Bostik adhesives are used in the manufacture and assembly of products in a wide range of sectors, including construction, transport, packaging, tapes, and lables. Our industrial activities are extensive and we partner with some of the biggest names in manufacturing. Construction adhesives Our smart adhesive systems are used globally in the construction of new buildings and refurbishment projects. You will find Bostik solutions for flooring, tiling, waterproofing, sealing, decoration, assembly and insulation. DIY & Trade adhesives From home improvements to repair and craft activities, we are committed to meeting the everyday needs of consumers and providing products which allow them to achieve professional, high quality results. Smart innovation Our smart identity is underpinned by innovation. We pursue innovation vigorously, applying the latest technological advances to developing ‘smart’ adhesives. Our archives are laden with examples of Bostik technologies that have disrupted markets - from potato starch-based wallpaper paste to elastic attachment adhesive for nappies. Today, our commitment to innovation is as strong as ever. We innovate with our customers through a global R&D network comprising three international Smart Technology Centres and 11 Regional Centres. And we differentiate our business through this investment. We design, construct, install and maintain high-quality artificial and natural sports pitches. With in excess of 100 years combined experience of the sports pitch sector, Velocity offer a partnering style approach which enables us to work closer and work together with our clients to ensure budgets are met and more importantly, best value is achieved. It is also key so that our clients possess all the knowledge required to make informed decisions regarding not only the implementation but also the effective running and maintenance of a new sports facility. 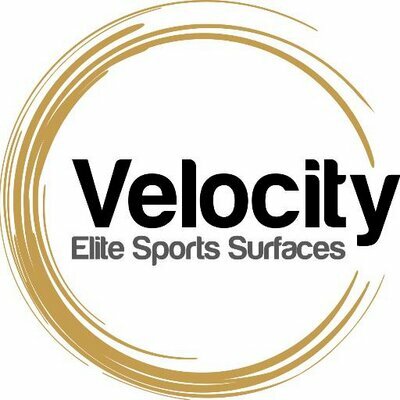 With a passion for sport and a professional, dedicated approach to sports facility development Velocity Sports Ltd are assisting a number of highly satisfied clientele to achieve their desired results. Being well positioned some 35 miles outside of London and in close proximity to the M3, M25 and M4 motorways Velocity Sports are well equipped to deal with all enquiries originating from London and the South of the UK. Anderson Travel is one of London's most respected travel companies. It's reputation has been built up over 30 years by owner Mark Anderson working closely with a team of experienced travel professionals. A boating holiday with Kris Cruisers really is a holiday with a difference. Starting from our marina base at Datchet you can set off to cruise the River Thames, one of the most beautiful waterways in Europe. Meander up or downstream wherever the mood takes you enjoying the change of pace as you go. Moor up at Windsor, Henley, Oxford and many other wonderful towns and villages along the river. You can even take the family to some famous attractions close to the river such as Legoland and Thorpe Park. Our superb fleet of self-drive motor cruisers are available from as little as a short break to one week or longer. No previous boating experience is necessary. Each year we have customers that have never taken a boating holiday before, but a modern river cruiser is easy to drive and mastering the controls is quickly learned. Tuition will be given on boat handling and safety by one of our instructors who all hold the RYA Inland Waters Helmsman Certificate. From banking corporations to high street retailers, Ultimate Print Solutions Ltd can supply an outstanding range of printing solutions to you and your business. With close proximity to Heathrow Airport and quick access to the M4 and M25, it allows us to connect to your business fast! Hereward Teamwear & Trophies is jointly owned by David Oxer & Ady Barkess. Dave started out in the sports trade in 1964 working in a sports shop and then was a founder member of the well known local sports store Hereward Sports in 1972. This name still exists in our current form today. During this time Dave was elected onto the Intersport buying group and was Managing Director of both Hereward Sports & Intersport in Peterborough during the 80’s & 90’s. Hereward was an institution locally, generations of families used the shop for all there sports equipment and was built on great service, knowledgeable staff and competitive pricing. These principals still remain and are at the heart of what we do today. Ady Barkess joined Hereward Sports in 1985. A keen local sportsman himself he was one of the famous “Saturday Lads” the shop employed. A keen eye for new product and willingness to learn saw Ady progress from Supervisor, to buyer and then Ground Floor Manager before leaving Hereward to persue a sales role with Mitre Sports after being head hunted in 1991. During this time he was involved in sales, product development and key accounts looking after the likes of Tottenham, West Ham & Norwich City FC. After 10 years on the road, Ady re-joined Dave at Hereward Teamwear and invested as an equal partner 15 years ago. The company has continued to thrive and is proud of the reputation it has earned for service, quality and reliability. 2014 saw Hereward invest in its own embroidery department and due to its rapid growth this area was doubled in size in 2015 to cater for the ever increasing orders and different sectors we now are supplying on a regular basis. 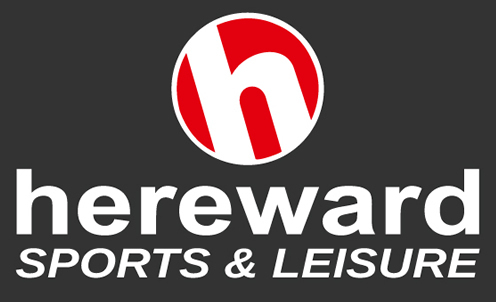 2016 has seen us open a dedicated Corporate & Leisure showroom to enable us to show the wide range of products we are able to offer alongside our existing Teamwear & Trophy showroom, this is also reflected in the slight change of name to Hereward Sports & Leisure. Onsite embroidery, print and computerised engraving means we can manage all orders efficiently whilst offering customers very competitive pricing across all the range of products we supply. For nearly 200 years, we have been shouting our love and passion for the game. Our story began in a leather tannery in Huddersfield, England in 1817. Even then, we were pushing the boundaries and striving to make sports equipment better. Two centuries on, the same impulse still powers everything we do. Mitre is British, with a primary focus on the country’s most illustrious sporting export: football. But we also play many other sports, which we approach with the same dedication and focus.Our industrial roots mean we take the technical side of our business very seriously. We value innovation, and we work hard to ensure our products always deliver. If you're looking for the UK's best online casino experience, then you’ve come to the right place. 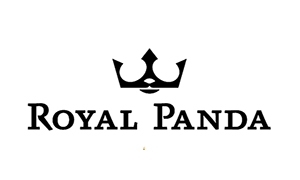 With great online casino games, out-of-this-world promotions and first-rate customer service, Royal Panda aims to ensure UK casino players always have a royal good time. Love slots? Then check out our hand-picked selection of the best video slots, classic slots and jackpot slots around. Battle Norse gods in Thunderstruck II, search the seabed for treasures untold in Mermaid Millions, or see if you’ll clean up in the official Game of Thrones slot. Prefer table games? Your seat in our live casino awaits. Enjoy high-quality live roulette, live blackjack and more in the company of our friendly and professional dealers – beamed directly to your mobile, tablet or desktop via TV-quality video streams. Fan of sports? Dive into the action with sports betting at Royal Panda, and get live in-play betting on all major sports. Enjoy the best in online sports betting with football, boxing and all the top sporting events from around the world. Get the best sports betting offers and promotions and enjoy the thrill of live betting in over 140 sports. Royal Panda United Kingdom also offers some of the best UK online casino promotions around. Receive our 100%-up-to-£100 welcome bonus when you join, and enjoy up to £150 of bonus money every Friday with our weekly Bamboo Bonus. And with a host of other regular and one-off promotions, there’s always something going on at Royal Panda. Furthermore, Royal Panda is fully licensed by the UK Gambling Commission – so when you play here, you can rest assured that you’re playing at a safe, reputable casino. You won't find a better online gambling site than Royal Panda! Have a royal good time! Join now and receive your £100 bonus today + 10 free spins for Starburst 18+, T&Cs apply. Available on first deposit: min. £10, max. £100. Bonus/free spin winnings wagering requirement: x35 for casino, x7 for sports (min. odd 1.80). Bonuses expire after 90 days. Max. bonus bet: £5 (casino only), can vary. 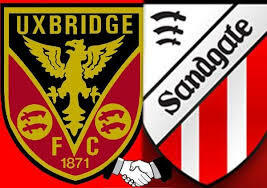 The objects of the Club shall be to provide facilities, promote the game of association football, to arrange matches and social activities for its members and community participation in the same. Additionally the aim of the club shall be to help educate boys and girls, partuculary those aged between 5 and 18 through their liesure time and football activities so to develop the physical,social, spiritual and mental capacities that they may grow to full maturity as individuals and members of society and their conditions of life shall be improved.